Our Aspire Academy is about nurturing your abilities by presenting you with new challenges and giving you the academic support you need to meet those challenges. You will benefit from individual and group initiatives including workshops and lectures. These will help you to develop and consolidate your knowledge and skills, as well as grow both in confidence and as a person. As an Aspire Academy student you will benefit from university outreach initiatives, fieldtrips, Enrichment opportunities, summer school options and inter-college competitions. Importantly, we aim to prepare you for the rigorous application, testing and interview processes of the country’s most respected universities. As part of this you can participate in masterclasses run by Russell Group universities and meet prominent academics, helping you make a strong claim to a place at your first choice institution. Each year 42% of our Aspire A Level leavers progress to Russell Group universities, including the University of Oxford and the University of Cambridge. This figure exceeds the national average of 18.5%. If you wish to study outside the UK, you will be pleased to know that our Aspire staff members are experienced in assisting with international university/college applications as well. In recent years Brock students have gone on to study in countries such as the United States, Canada, Australia, China and the Netherlands. Our links with St Edmund Hall, Oxford, and Trinity College, Cambridge, enable you to meet with academic staff and students for one-to-one guidance on applications, personal statements, interviews and admission exams. Meanwhile, our long-standing relationship with the University of Southampton enables you to attend a series of interdisciplinary workshops. These day-long explorative events are run by academics from various subject areas and stimulate intellectual curiosity. 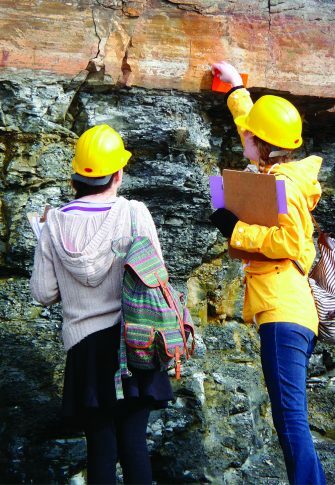 Each year our Geosciences Awards recognise the best and brightest students through a range of categories. As an award winner you have the ideal platform to help you stand out from the crowd on your university applications. 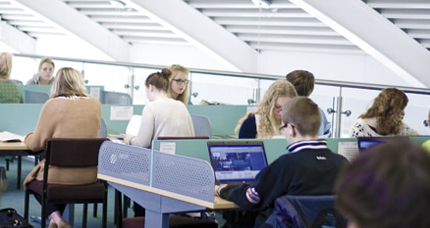 At Brock we have a large Learning Resources Centre and small class sizes, giving you the independent study space and individual attention you need to thrive. Depending on your subjects, you could also benefit from our new ultra-modern STEM Centre with its large collaborative learning space. The EPQ is an opportunity open to all students to develop an idea or interest beyond your chosen subjects. It is equivalent to one AS Level and is studied in your second year. This study option is your chance to choose your own topic, accept extra responsibility for your learning, and develop independent research and project management skills. It is highly respected by universities. EPQ staff supervisors will support you throughout the process of planning and producing the final product. This product can be a written research paper or an artefact such as a piece of music, a play or a computer program, for example. Over the years EPQ students have completed a diverse range of projects. Recent projects have included an investigation into the effectiveness of Ebola treatments, a study into the applications of quantum physics, and a study into corporate social responsibility for drinks manufacturers. HE+ is a collaborative project run by the University of Cambridge that is aimed at high-achieving first year A Level students. You will be invited to apply for HE+ in early November, ahead of a January start. Extension classes in a range of core subjects to help you broaden and deepen your understanding, as well as develop key transferable skills. Workshops led by academics and students from the University of Cambridge, addressing topics like university choices, submitting a strong application and preparing for an interview. Seminars delivered by academics from the University of Cambridge, plus a trip to the university itself. Reading Scholars is an initiative offered by the University of Reading in core and arts-related subjects, including some not served by HE+. You may apply for Reading Scholars in your first autumn at Brock. The scheme gives you a tangible taste of life as a university undergraduate and provides practical support for the higher education application process. It also features input from leading academics, current undergraduate e-mentors and Reading alumni. Participation starts in December with masterclasses at the University of Reading’s campus in your chosen subjects. Subsequent visits are scheduled for February, March and June or July. These are interactive workshops led by the Principal and Assistant Principal to help develop your skills of critical thinking, prepare for selection interviews and develop the leaders of tomorrow. Complete the Duke of Edinburgh Award, giving you a highly recognised addition to your CV. Join our debating society in order to refine your skills of analysis and public speaking. Participate in the publication of the College newspaper to acquire a range of hands-on experiences. Share your musical, acting, singing or dancing talents by taking part in performances organised by us. Attend our French Film Club to help you further develop your French speaking and listening skills. Explore different ecological initiatives alongside likeminded people at our Eco Club. Benefit from a range of trips to places including Iceland, Romania and CERN in Geneva. Gain new perspectives from visiting speakers such as those from local law firms who visit us to conduct mock trials. 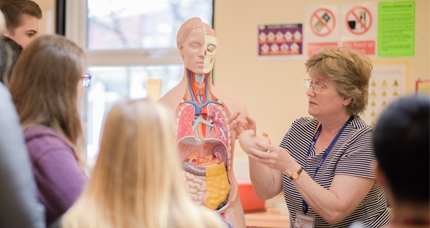 Prepare to study medicine by joining our Medical Matters Enrichment group. Become a Student Ambassador and develop your public-facing skills while adding to your CV.